HuCAL Fab-Max-FH negative control, clone AbD24004 is a recombinant Fab antibody fragment in the format Fab-Max-FH with specificity for green fluorescent protein (GFP). It has no known reactivity with mammalian proteins or other antigens. It has been tested by ELISA for specificity to GFP, but has not been tested in other applications. It is suggested as a negative control reagent when using other HuCAL antibodies of the same Fab format. A bivalent human recombinant Fab (lambda light chain) selected from the HuCAL® phage display library, expressed in E. coli. This Fab fragment is bivalent by dimerization of an inactive variant of the bacterial alkaline phosphatase fusion protein.  The antibody is tagged with a DYKDDDDK tag and a HIS-tag (HHHHHH) at the C-terminus of the antibody heavy chain.